You are living in some highly transformational times currently on planet Earth, much is shifting and transforming at a velocity that has not been experienced before and it is remarkable to witness. We your Galactic family of light extends our appreciation, admiration and Love to each and every one of you. This week marks a threshold which has now been surpassed which see us moving more swiftly into the arena of rapid awakening and expansion for many earth seeds. Many that you call unconscious, who have chosen to transition with planet Earth into 5d and above will experience some major life expanding situation, these situations will be divinely designed to really jolt them into a state of conscious awareness, never experienced or seen before on this grand scale. These situation has been granted because of the need to move more quickly into the next phase of planetary and individual ascension. The threshold that has been surpassed means that the level of Love Light has reached a point which enables it to sustain itself subject to the response this mass awakening has on the collective and planet Earth. The Love light energy can deal with any eventuality, therefore if fear takes hold, Love is in the majority to rein supreme and manage any situation that arises. It was needed to reach a point whereby if earth seeds react out of fear, which then generates more fear, this situation is not easily able to accelerate into a slipping back on the energetic scale. Thankfully we have passed the point for this to cause us any detriment. To aid this major shift. You, our beautiful Earth family (Lightworkers, Starseeds, Ascended light beings, Angelics), star brothers and sisters are now being invited to truly visionalise your dreams, what are you wanting from your New Earth, always remembering that we are One, One family of light, and that includes Earth herself, all her divine gifts by way of her plants, elemental, animal kingdoms just to name a few. We remind you once again, New Earth is not a different destination, just a different frequency. So in truth you are not leaving or going anywhere, you are just shifting energetically. How do you want New Earth to feel, look, smell, taste,sound. Using all your senses both physically and non physically really tune into your visions, they hold more power than you could possibly imagine. In these transformational times you are being gifted with the power of instant manifestation, so your dreams are truly closer than you can possible imagine. So start to realise them, start to hone your heart desires by way of what sort of job do you want to do, where do you want to live, who do you want in your life by way of family. 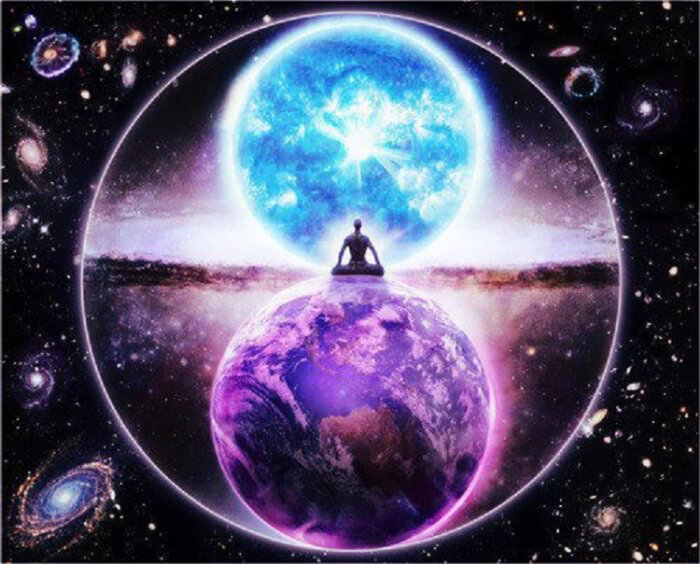 Although alot of these things seem of the 3d Earth, the initial transition into New Earth will have many similarities, just these similarities will come from a place of Love not Fear. You won’t be expected to spend most of your waking day in a job that you hate, just to come home to a family situation which is fought with expectations and pressures. You will have free will to choice whatever you want, in total alignment with your highest will. Many will feel like they have reached an heavenly state, and in some ways they have.